Gadkari referred to Nehru while explaining that if one cannot provide a solution, he/she should not at least create problems. 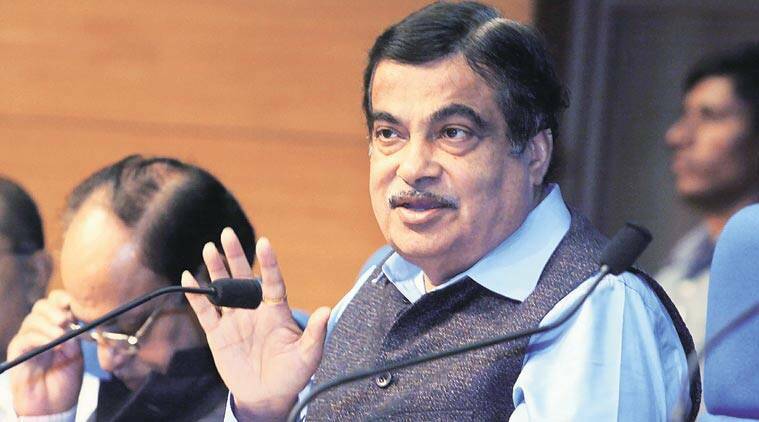 Stating that he likes Jawaharlal Nehru’s speeches, Road Transport and Highways Minister Nitin Gadkari on Monday said that “tolerance is the biggest asset” of the Indian system. “I liked Nehru’s sayings. He said India is not a nation but a population,” Gadkari said at the annual Intelligence Bureau (IB) endowment lecture. The senior minister referred to Nehru while explaining that if one cannot provide a solution, he/she should not at least create problems. Recalling former Prime Minister Atal Bihari Vajpayee, he said governments will come and go, but the country remains. “This country doesn’t belong to any party or individual but to 120 crore Indians,” he said. The minister said that 403 projects, worth Rs 3.85 lakh crore, were stuck when he took office in 2014, pending due to reasons of security, environmental clearance, land acquisition and encroachment, among others. “We took 22 Cabinet decisions, and 95 per cent projects were resolved. Among them, 75-80 per cent projects were stuck due to government systems — security, environment clearance and land acquisition (etc),” he maintained. Replying to a question, Gadkari said that if the IB wants to reject any proposal, it should do so quickly and not sit on the proposal. Noting that one is neither born evil nor perfect, he said the police can play a key role in converting the incarcerated into contributors for social welfare. Gadkari also mooted the concept of performance audit as a better alternative to financial audit in evaluating managerial and administrative ability of officials. Although transparency is equally important, it must accompany time-bound decision-making and delivery, he said. The minister advocated innovation and modernisation, including use of IT tools and e-tendering, to make project implementation process transparent and efficient. He also touched upon the importance of human resource management and drew distinction between what would constitute a bona fide and mala fide mistake. On the importance of human relationship in the forces, Gadkari said, “It is is very important and you should take care of people who are protecting the border. Holding discussions with your subordinates will help you gain ground information which will help you to formulate better policies,” he told IB officials.